Philosophy Statement: Potter Road’s vision is that our students will achieve academic excellence and be prepared to meet the challenges of a culturally diverse society. In addition, students in the Two-Way program will become bilingual, bicultural, and biliterate. Proficiency in more than one language is a valuable skill to be cultivated and nurtured in our schools and communities. The Two-Way Portuguese program integrates native English speakers and native Portuguese speakers for academic content instruction beginning in elementary school. What advantages are there for my child in a TW program? develop full oral, reading, and writing proficiency in two languages. achieve at levels that are similar to or higher than those of their peers enrolled in other programs on standardized tests of reading and math in English, and in addition they are able to read and write at grade level in another language. enrolled in TW programs develop very positive attitudes about students of their own/other language and cultural backgrounds, and positive attitudes toward themselves as learners. How do students in TW programs compare academically to students in other types of educational programs? When do students perform at grade level on standardized achievement tests in their first and second languages? Native English speakers tend to perform at grade level in English once they have received formal reading instruction through that language, and their achievement is at grade level in the second language typically by third grade, if not sooner. For English learners, scores are usually in the average range in their first language by second grade, but often achieve proficiency in English by fourth or fifth grade. What are the characteristics of students who are successful in TW programs? enjoy learning new things, and also like meeting and interacting with people from different linguistic and cultural backgrounds. have parents who strongly support the program. Parents who truly understand and embrace TW and its goals will transmit their positive attitudes to their children. understand and embrace the philosophy of TW education; they realize that learning in two languages can be challenging at times, but persevere and learn to take risks in speaking and writing the second language. Research has shown that students from a variety of different backgrounds can be successful in TW programs (Howard, Sugarman, & Christian, 2003). Students from different ethnic, social class, and language backgrounds, and with varying academic strengths and needs, have all benefited from TW programs. What should a TW program do to promote home-school connections? What can I do as a parent to get involved and support my child’s language development? ensure that all communications with parents are in English, Portuguese, and Spanish. hold periodic meetings to educate parents on TW related topics such as: program design, language acquisition, helping with homework, biliteracy development, and assessment practices. start a language development committee by this fall to support Potter Road’s TW program development. offer ESL classes for parents of English language learners and classes in Portuguese for parents of native English speakers. There are many things that parents can do to strengthen the home-school connection and encourage their child’s language development. Attend parent education workshops on TW programs. Participate in TW family social gatherings. Attend TW conferences and meetings. Share experiences with prospective parents and students. Serve as chaperones for program class trips. Support your child’s language and literacy development in two languages, as well as their emerging cross-cultural appreciation. Families can do this by exposing their children to books and movies in both languages; attending cultural festivals; and providing opportunities for authentic language exchanges. Support your child in your native language. Read WITH them and TO them in your native language EVERY day. Ask your child open-ended questions about what they are learning in school. Encourage curiosity by teaching them to question the world around them. Emphasize the value of acquiring another language. Applaud their efforts in learning in a new language. What resources exist for parents of TW students? Are there conferences that I might enjoy attending? How many Kindergarten classes will be Two-Way at Potter Road? Potter Road will have four K classes in 2018-2019. Depending on interest, up to two of them will be Tw0-Way classrooms and the remaining classrooms will be GE/SEI. Families will be able to choose either program when selecting Potter Road for their child. Will TW students be integrated with their non-TW peers throughout their years at Potter Road? Yes. Our goal is to have enough students in our initial cohorts to allow for some variation in placement. This will ensure that students in the Two-Way Portuguese strand within Potter Road aren’t always placed in the same classroom with the same students for their entire day. In addition, as we’ve always done, we will continue to have heterogeneous groupings in specials so all students in the grade level get to know each other. What is the program model that Potter Road will be adopting? Regardless of the language of instruction, the academic content is the same for all students in the district and is the standards-based Kindergarten curriculum. The exact percentage of time that Kindergarten students will spend learning in Portuguese and English will be determined as Kindergarten registration begins and we enroll families. Our first priority is making sure the program design matches the needs of the students. What subjects will be taught in what languages? Will my child understand the content material? Teachers in the program are trained in techniques to make their content comprehensible to children who speak the other language. All teachers will be able to provide supports so that students remain exposed to grade level content even when learning in their second language. Content areas are also rotated throughout the year so that no subject is only taught in one language. This allows for concept and vocabulary transfer so that students are truly bilingual. Both English and Portuguese language development will be taught at all grade levels. Will the program continue beyond Potter Road? The design is to continue through the current feeder middle school (Cameron) for grades 6-8 and FHS for 9-12th grades. The design and rollout process is much simpler at the secondary level. Students will take two classes in Portuguese; the rest of their classes are in English integrated with their non-Two-way peers. This will require either shifting current staff or the hiring of a few additional Portuguese speaking teachers. Middle school staffing can be determined as the first cohort approaches 4th and 5th grade. If my child and I feel the program is not a match, will there be an opportunity to transfer and/or remain at Potter Road in the GE/SEI program? Families are encouraged to ask as many questions as possible during the Kindergarten registration process to ensure this program is the right fit for their family and child. Speaking to other Two-Way parents in the district (Barbieri’s program has been running for over 25 years! ), attending an info session and/or a school tour are strongly encouraged. If you decide that the Two-Way Portuguese program is your first choice, you will sign a Letter of Commitment committing through 5th grade. If there is more interest than available seats, a lottery will be held and school assignments will be made by PIC. Once you are part of the Two-Way program, please reach out to your classroom teacher, school leadership, and the Bilingual Department if you have concerns about your child’s progress or questions about the program. If you do desire a transfer, PIC has a transfer period in late spring, but given the large expected Kindergarten enrollment, it may not be possible to remain at Potter Road if their non-Two-Way seats are filled. Enrolling in a Two-Way program is a long-term commitment and should be entered into thoughtfully. Dual Language (DL) Program: An umbrella term that refers to additive language programs such as developmental bilingual, two-way immersion, heritage language immersion, and foreign language immersion. Two-Way (TW): A distinctive form of dual language education in which balanced numbers of native English speakers and native speakers of the partner language are integrated for instruction so that both groups of students serve in the role of language model and language learner at different times. Native Language (L1): An individual’s native language. Target Language (L2): A language acquired in addition to the native language. Balanced Bilingual: An individual who has equal and native-like proficiency in two languages (de Jong, 2011). Simultaneous Bilingual: Student who has been exposed to two languages since before age 3 (Beeman & Urow, 2013). By definition, simultaneous bilingual students are not clearly dominant in either language. Sequential Bilingual: Student who has developed one language and is learning a second language (Beeman & Urow, 2013). English (Language) Learners (ELLs or ELs): Student who speaks a language other than English at home and has been identified as becoming English proficient. (Beeman & Urow, 2013). Emergent Bilinguals: Student who speaks a language other than English at home and has been identified as becoming English proficient. (Beeman & Urow, 2013). Declaração filosófica: a visão da Potter Road é de que nossos alunos alcançarão excelência acadêmica e estarão preparados para enfrentar os desafios de uma sociedade culturalmente diversa. Além disso, alunos no programa bilíngue Two-Way se tornarão bilíngues, biculturais e biletrados. Proficiência em mais de uma língua é uma habilidade valiosa a ser cultivada e nutrida em nossas escolas e comunidades. O programa Two-Way Português integra falantes nativos de inglês e falantes nativos de português para instrução do conteúdo acadêmico começando na escola elementar. Que vantagens existem para o meu filho num programa TW? desenvolvem proficiência plena oralmente, na leitura e na escrita em duas línguas. atingem níveis que são similares a ou mais altos que aqueles dos seus colegas matriculados em outros programas em testes padronizados de leitura e matemática em inglês e, adicionalmente, são capazes de ler e escrever em outra língua ao nível da série. matriculados em programas TW desenvolvem atitudes muito positivas em relação à própria e demais línguas, às heranças culturais e atitudes positivas em relação a si mesmos como alunos. Como alunos em programas TW comparam-se academicamente com alunos em outros tipos de programas educacionais? Quando alunos desempenham ao nível da série em testes padronizados de conhecimento na primeira e segunda línguas? Falantes nativos de inglês tendem a desempenhar ao nível da série em inglês uma vez que tenham recebido instrução formal de leitura naquela língua e o desempenho está ao nível da série na segunda língua tipicamente até a terceira série, se não antes disso. Para alunos aprendendo inglês, os resultados estão geralmente na faixa média na língua materna até a segunda série, mas frequentemente eles atingem proficiência em inglês até a quarta ou quinta série. Quais são as características dos alunos que tem sucesso em programas TW? gostar de aprender coisas novas, e também gostam de conhecer e interagir com pessoas de diferentes formações linguísticas e culturais. ter pais que apóiam fortemente o programa. Pais que, verdadeiramente entendem e abraçam TW e seus objetivos, passarão sua atitude positiva aos seus filhos. entender e abraçar a filosofia da educação TW; eles percebem que aprender em duas línguas pode ser difícil às vezes, mas perseveram e aprendem a correr riscos ao falar e escrever na segunda língua. Pesquisas têm monstrado que alunos de uma variedade de diferentes formações podem ter sucesso em programas TW (Howard, Sugarman, & Christian, 2003). Alunos de diferentes etnias, classes sociais, antecedentes linguísticos e, com capacidades e necessidades acadêmicas variadas, têm se beneficiado com programas TW. O que um programa TW deve fazer para promover as conexões casa-escola? O que posso fazer como pai para me envolver e apoiar o desenvolvimento linguístico do meu filho? assegurar que todas as comunicações com os pais estejam em inglês, português e espanhol. marcar reuniões periódicas para educar os pais sobre tópicos relacionados ao TW como: concepção do programa, aquisição da linguagem, ajuda com lição de casa, desenvolvimento da biliteracia e práticas avaliatórias. iniciar um comitê de desenvolvimento da língua até o outono para apoiar o desenvolvimento do programa TW na Potter Road. oferecer aulas de ESL para os pais dos alunos de inglês como segunda língua e aulas de português para os pais dos falantes nativos de inglês. Há muitas coisas que os pais podem fazer para fortalecer a conexão casa-escola e encorajar o desenvolvimento linguístico de seus filhos. Voluntariar-se na sala de aula. Compartilhar com os alunos aspectos da língua e cultura materna como música, dança, literatura e comidas. Comparecer aos workshops sobre programas TW. Participar de encontros sociais familiares TW. Comparecer à conferências e reuniões TW. Compartilhar experiências com pais e alunos futuros. Servir de acompanhante para as excursões do programa. Apoiar a língua do seu filho e o desenvolvimento da literacia em duas línguas, assim como a apreciação multicultural emergente. As famílias podem fazer isso ao expor seus filhos a livros e filmes em ambas as línguas; frequentando festivais culturais; e proporcionando oportunidades para intercâmbios linguísticos autênticos. Apoie seu filho na sua língua materna. Leia COM eles e PARA eles na sua língua materna TODOS os dias. Pergunte ao seu filho perguntas com respostas abertas sobre o que eles estão aprendendo na escola. Encoraje a curiosidade ao ensiná-los a questionar o mundo ao redor deles. Enfatize o valor de adquirir outra língua. Aplauda seus esforços em aprender uma nova língua. Que recursos existem para os pais de alunos TW? Existem conferências que eu possa gostar de assistir? Quantas classes de Jardim da Infância (K) Two-Way terão na Potter Road? A Potter Road terá quatro classes de K em 2018-2019. Dependendo do interesse, até duas delas serão classes Tw0-Way e as restantes serão GE/SEI. As famílias serão capazes de escolher um dos programas ao selecionar a Potter Road para o seu filho. Os alunos TW serão integrados com seus colegas não-TW durante os anos deles na Potter Road? Sim. Nosso objetivo é ter alunos suficientes nos nossos coortes iniciais para permitir alguma variação na colocação. Isso garantirá que alunos no Two-Way Português dentro da Potter Road não sejam sempre colocados na mesma sala com os mesmos alunos pelo dia inteiro. Além disso, como sempre temos feito, continuaremos a ter grupamentos heterogêneos nas aulas de “specials” para que todos os alunos de uma série possam conhecer uns aos outros. Qual é o modelo de programa que a Potter Road estará adotando? Independentemente da língua de instrução, o conteúdo acadêmico é o mesmo para todos os alunos no distrito e é baseado nos parâmetros do currículo do Jardim da Infância. A exata porcentagem de tempo que alunos do Jardim da Infância passarão aprendendo português e inglês será determinada conforme a matrícula do Jardim de Infância comece e nós matriculemos as famílias. Nossa primeira prioridade é assegurar que o projeto do programa corresponde às necessidades dos alunos. Que matérias serão ensinadas em que línguas? Meu filho entenderá o conteúdo da matéria? Os professores do programa são treinados em técnicas que fazem o conteúdo compreensível para crianças que falam a outra língua. Todos os professores serão capazes de fornecer apoio para que os alunos permaneçam expostos ao conteúdo da série mesmo quando aprendendo na segunda língua deles. As áreas do conteúdo também serão alternadas ao longo do ano para que nenhuma matéria seja ensinada apenas em uma língua. Isso permite a transferência de vocabulário e de conceitos para que os alunos sejam verdadeiramente bilíngues. O desenvolvimento da língua tanto em inglês como em português será ensinado em todas as séries. O programa continuará além da Potter Road? O projeto é de que continue através da escola de ensino fundamental II Cameron para as séries de 6ª à 8ª e na FHS para as séries de 9ª até a 12ª. O processo de concepção e de implementação é mais simples no nível do ensino fundamental II e do ensino médio. Alunos terão duas aulas em português; o resto das aulas será em inglês integrado com seus colegas que não são Two-Way. Isso vai requerer o remanejamneto da equipe atual ou a contratação de alguns professores adicionais que falem português. A alocação de pessoal pode ser determinada conforme o primeiro grupo TW se aproxime da 4a e da 5a série. Se eu e meu filho acharmos que o programa não é uma boa combinação, haverá oportunidade de transferência e/ou permanência na Potter Road no programa GE/SEI? As famílias são encorajadas a fazer quantas perguntas forem possíveis durante o proceso de matrícula no Jardim da Infância para ter certeza de que o programa é a opção adequada para sua família e seu filho. Conversar com outros pais do programa Two-Way no distrito (o programa na Barbieri já funciona há 25 anos! ), comparecer a uma sessão informativa e/ou a uma visita à escola são veementemente encorajados. Se você decidir que o programa Two-Way Português é sua primeira opção, você assinará uma Carta de Comprometimento comprometendo-se até a 5ª série. Se houver mais interessados do que vagas, será realizada uma loteria e a colocação nas escolas será feita pelo PIC. Uma vez que você seja parte do programa Two-Way, por favor recorra ao professor da sala, à liderança da escola e ao Departamento Bilíngue se você tiver preocupações sobre o progresso do seu filho ou perguntas sobre o programa. Se você realmente desejar uma transferência, o PIC tem um período de transferência no final da primavera, mas, devido ao grande número de matrículas esperadas para o Jardim da Infância, pode não ser possível permanecer na Potter Road se as vagas para não-Two-Way estiverem preenchidas. Matricular-se no programa Two-Way é um compromisso de longo prazo e deve ser feito cuidadosamente. Dual Language (DL) Program/Programa de Linguagem Dual: Um termo guarda-chuva que refere-se aos programas de linguagem aditiva como o bilíngue desenvolvimental, imersão two-way, imersão em língua de herança, e imersão em língua estrangeira. Two-Way (TW): Uma forma distinta de educação em duas línguas na qual o número de falantes nativos de inglês e falantes nativos da língua parceira é balanceado e os alunos são integrados para receber instrução para que ambos os grupos de alunos façam o papel de modelar a língua e de aprendê-la em momentos diferentes. Native Language (L1)/Língua Nativa (L1): A língua nativa de um indivíduo. Target Language (L2)/Língua Alvo (L2): A língua alvo é adquirida em adição à língua nativa, como uma segunda língua. Balanced Bilingual/Bilíngue Balanceado: Um indivíduo que tem proficiência igual ou semelhante à nativa em duas línguas (de Jong, 2011). Simultaneous Bilingual/Bilíngue Simultâneo: Aluno que tem sido exposto a duas línguas desde antes de 3 anos (Beeman & Urow, 2013). Por definição, alunos bilíngues simultâneos não são claramente dominantes em nenhuma das duas línguas. Sequential Bilingual/ Bilíngue Sequencial: Aluno que desenvolveu uma língua e está aprendendo uma segunda língua (Beeman & Urow, 2013). English (Language) Learners (ELLs or ELs)/Alunos de inglês como segunda língua: Aluno que fala uma língua diferente do inglês em casa e tem sido identificado como tornando-se proficiente em inglês. (Beeman & Urow, 2013). 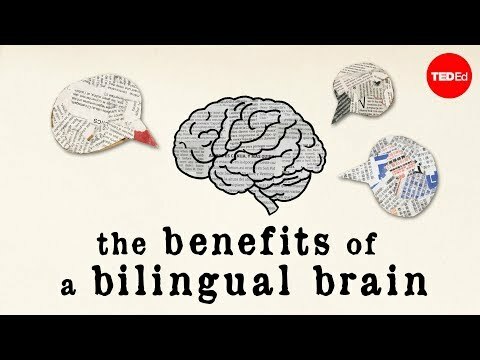 Emergent Bilinguals/Bilíngues Emergentes: Aluno que fala uma língua diferente do inglês em casa e tem sido identificado como tornando-se proficiente em inglês. (Beeman & Urow, 2013).